Kota was born in Sapporo, Hokkaido and grew up in Nagoya, Aichi. He majored in earth science and astrophysics at Hokkaid Universiy. After having worked for an IT company, he moved to the U.S. and studied the Bible at Moody Theological Seminary in Chicago, Illinois. 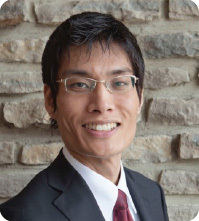 He completed the study and became a pastor at Columbus Japanse Christian Church. 1Born 1937 November. 1959 B.S. Cedarville University (Chemistry); 1962 M.Div Grand Rapids Baptist Seminary; 1994 D.Min Studies Grand Rapids Theological Seminary. 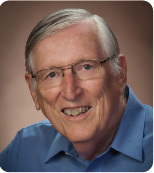 Prayed to receive Christ as a jr high school boy; Married Esther 1961 and together joined ABWE mission 1963; Began ministry in Japan 1964, serving in church planting, Bible school teaching, camp ministry in Kagoshima City until 1992; Lived in Singapore 1994 with ABWE mission partnering with Cornerstone University to field Asia Biblical Theological Seminary master's program in Southeast Asia; 1994 member SJCF (Singapore Japanese Christian Fellowship), pastoral staff from 2002 until retirement to Springfield OH 2006. Bob and Esther have two children: Scott, Assistant CIO of Cedarville University; Peni, director of a school for poor children in Bangladesh. Rev. Robert Sorley was born in Minnesota in 1942. He repented of his sins and became a Christian in 1947. In 1948 he went to Japan with his parents, who were missionaries. He was baptized in 1955. He graduated from high school in 1959 and returned to the Unites States that year. 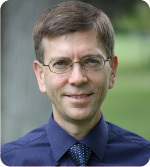 He graduated from Bethel College in Minnesota in 1964, from Bethel Seminary in 1968, and from the University of Minnesota Graduate School in 1970. Rev. 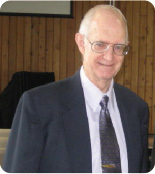 Sorley was sent to Japan as a missionary in 1970 and studied the Japanese language from 1970 to 1972. He ministered in Wakayama Prefecture from 1972 to 1980. From 1982 to 1984 he started the Ikoma Baptist Church in Ikoma City, Nara Prefecture. He served on the staff of Hirakata Baptist Church in Hirakata City, Osaka Prefecture, from 1987 to 1989. In 1989 he started the Saidaiji Baptist Church in Nara City, Nara Prefecture, and served there until 2008, when he retired and moved to Columbus. He is married to Nancy. His daughter, Lisa, is a teacher at Okinawa Christian School International. His son, Jason, is pastor of a church in Minnesota.